'Turmeric', the most humble spice outshines all other spices in our kitchen with its contemporary value. And we know its a powerhouse of skin benefits since ages. 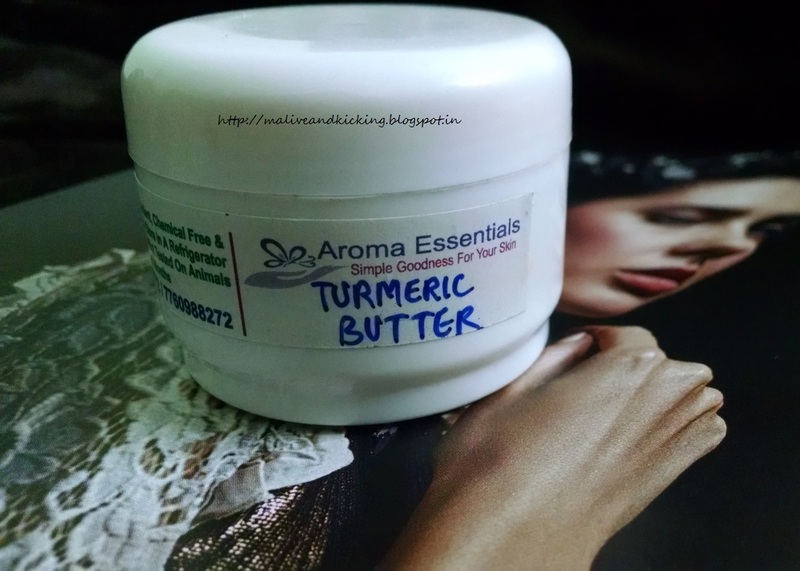 I got to try a body butter from Aroma Essentials whose main ingredient is Turmeric Oil. It had been a lovely experience using it and here is my opinion on the product. The Aroma Essential Turmeric Butter is something like a lustrous cream in light yellow color. The buttery thick consistency without any lumps makes the body butter absolutely smooth finished. It came in a simple white tub pack which has a tight screw cap. The pack is light-weight and spill-proof so can be considered travel-friendly. The Aroma Essentials Turmeric Butter has amazing penetration due to which it is absorbed by skin in no time. I massage this body butter on my skin post shower in the morning and also before I go to bed in the night. 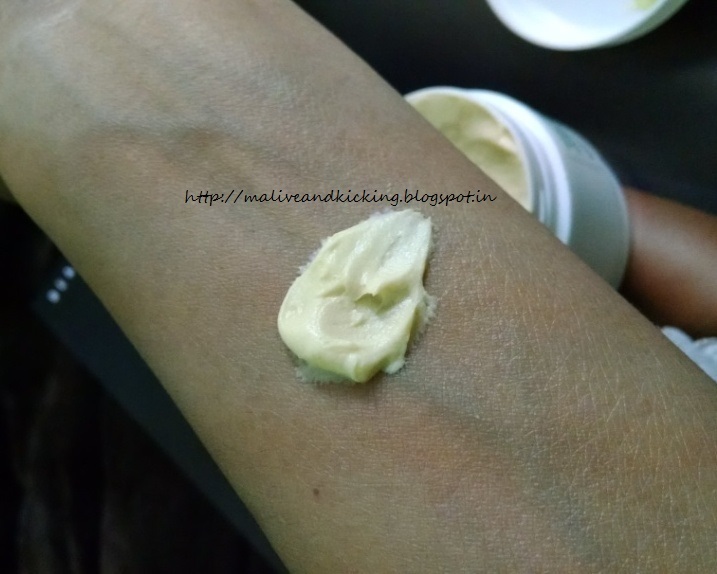 I'm surprised by the natural topical appearance of the skin after massaging with this turmeric butter that doesn't bring out any glossy look. The only outcome is soft & glowing skin and relief from dryness upon its application. The best part is that this turmeric butter doesn't leave slightest of yellowish tint over the skin nor does it stain my clothes. The blend of vanilla and sweet orange oils along with turmeric has given the product an intense aroma that can be inhaled the moment we open the packaging. The tangy citrus scent of orange oil blankets me with tranquility whenever applied and my mood is enlivened with joy. The use of turmeric in skin essentials is extensively popular for its antiseptic and anti-inflammatory traits. 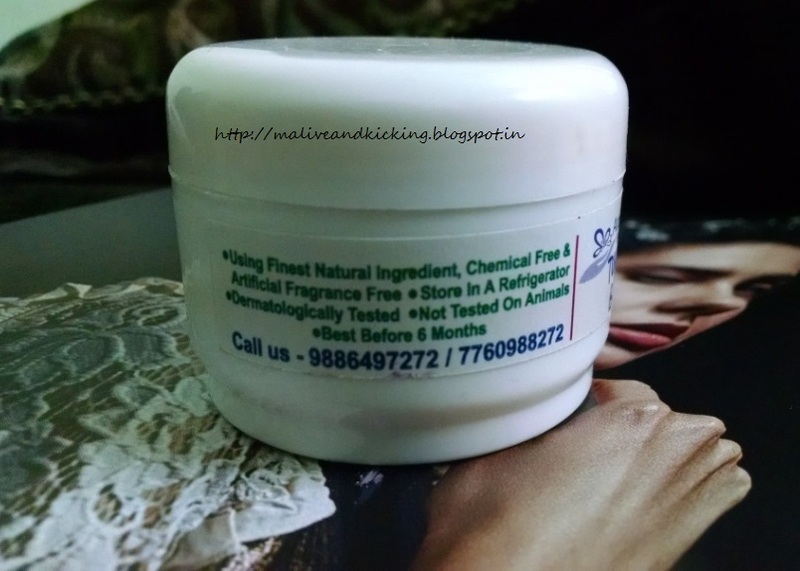 So the product can tackle skin infections, inflammation and rashes very well. At some occasions, I've been using this turmeric butter to soothe my excessively dry heels and to control itching around finger nails. Infact, when its not the right time to give myself a complete massage, I make a point to just rub little quantity to patches of dry skin. Not to mention, it is the easiest remedy than any other tricky solution. To conclude I would say, the herbal and all natural preparation of Aroma Essentials Turmeric Butter can appreciate the texture of your skin greatly on regular use. Do indulge in the aromatic, complexion enhancing skin treatment of Turmeric Butter and acquire clear, even toned, youthful skin without any side effects. For queries regarding price and availability, please follow the link Aroma Essentials or call 9886497272 to order. Lovely product. I have never heard about turmeric butter. Great review! 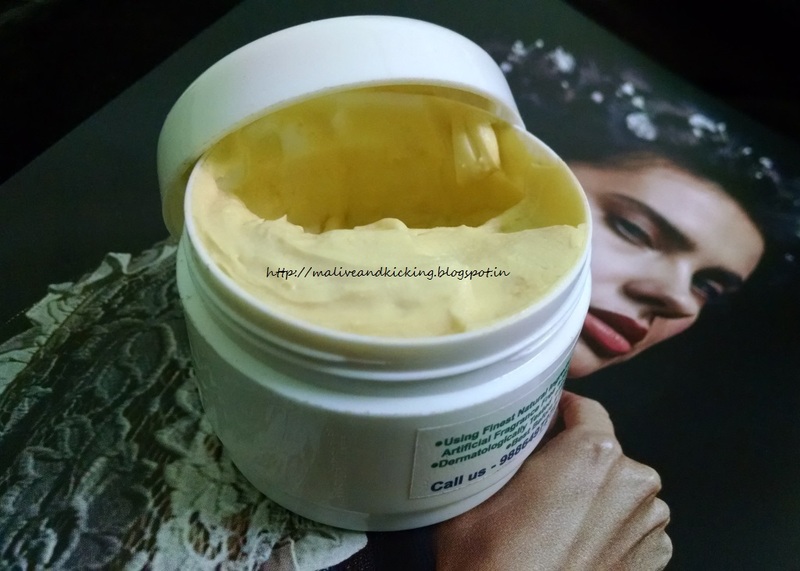 Goodness of turmeric in a body butter. Sounds wonderful. does it rub in quickly ?